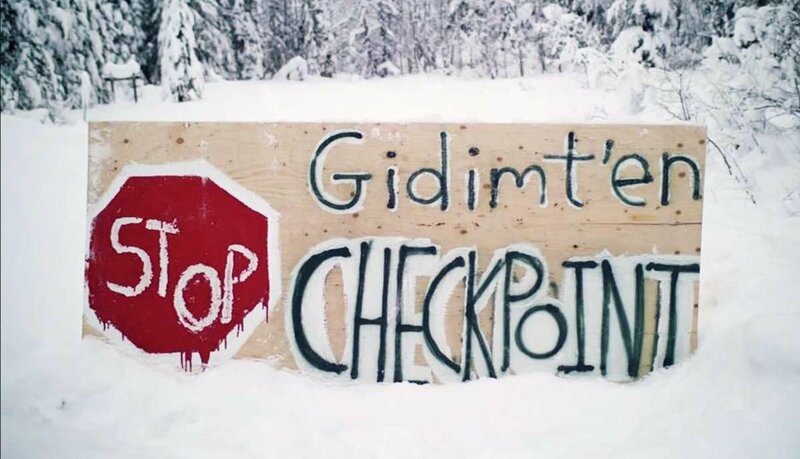 On March 16th, 2019, we are calling on allies to step up for a second International Day of Action in solidarity with Gidimt’en Checkpoint, Wet’suwet’en Frontlines, and all Indigenous Peoples across Turtle Island. 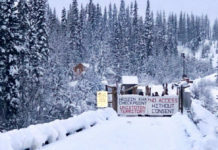 Among the battles on Wet’suwet’en territories, there have been: violent, militarized raids, destruction of personal property, continued harassment & threats from the rcmp, and CGL, defaming & untrue statements by the government & industry, and removal of artifacts found in our traditional territories (disallowing a neutral agency to assess said artifacts). We recognize that the Wet’suwet’en are not alone in this struggle. Alton Gas has applied for an injunction to remove Mi’kmaq peoples from their traditional territories. Our Mohawk brothers and sisters face persistent harassment by colonial model policing systems, including raids, searches & detainments without warrant or cause, on sovereign lands. The Secwepemc peoples continue to fight their battles – facing continued harassment as well. The government pushes pipelines through unceded lands. Indigenous women are assaulted in front of the prime minister – and nothing is done about it. Support the Wet’suwet’en & Indigenous peoples in their continued struggles by offering physical support to the camps, monetary or material donation, or by taking action where you stand. Take to the streets, the boardrooms, government buildings, or anywhere that will get our message to the Provincial Government, TransCanada (now TC Energy), and their investors: Dini ze’ and Ts’ake ze’ of the territories DO NOT consent to pipelines, and reaffirm sovereignty — from time immemorial, and forever. A Smoke Feast will be held on March 16, 2019 to formally announce the commencement of title discussions between the Province of BC and the Wet’suwet’en Hereditary Chiefs. As this happens, there is assurance to supporters, allies, and community members that these negotiations ​DO NOT​ equal consent. These title discussions were to commence in 1997 – after the Delgamuuk’w & Gisday’wa ruling (that stated that the Wet’suwet’en hold jurisdiction over our territories). Further, the discussions do not impact the resistance to pipelines currently underway or resistance efforts to come. The term “reconciliation” being used by the provincial government is a smokescreen for violence. “Reconciliation” is grossly misrepresentative of the relationship that the province, industry, and RCMP have had with the Wet’suwet’en since contact – and the kind of relationship demonstrated on January 7th, 2019 at Gidimt’en checkpoint. By attacking unarmed Wet’suwet’en people on January 7th, 2019, the province has blatantly violated Wet’suwet’en rights and ’Anuc niwh’it’en (Wet’suwet’en Law). Since then, the RCMP have openly violated the agreement they reached with the Dinï ze’ and Ts’akë ze’ by threatening trappers while establishing new “exclusion zones” and overseeing the desecration of the territories by Coastal GasLink. The province continues their occupation of Wet’suwet’en territories while Wet’suwet’en people face daily harassment from RCMP and CGL private security. As a sovereign nation illegally and violently occupied by Canada, the Wet’suwet’en will continue to pursue all avenues available to fight for what is rightfully Wet’suwet’en territory & culture. The Wet’suwet’en have always been here – are still here – will always be here – and will continue to protect Wet’suwet’en yintah. The Yintah sustains us, our neighbours, and generations to come. 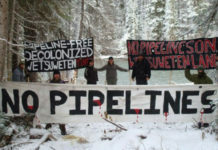 These struggles show that we will NOT stand idly by as the colonial government systems infringe on rights of Wet’suwet’en & Indigenous peoples – an injustice to one, is an injustice to all… as Indigenous rights are Human Rights! 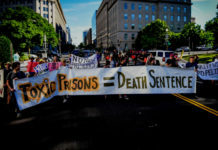 1) Occupy large spaces across the country – and let oppressive systems know that we will not sit by as Indigenous peoples, women, and the Earth face these grave injustices. Hold rallies & peacefully protest. DO NOT go unheard. The Earth First! Journal is the voice of the radical environmental movement. 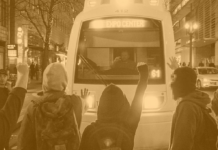 Published quarterly, it contains reports on direct action; articles on the preservation of wilderness and biological diversity; news and announcements about EF! and other radical environmental groups; investigative articles; critiques of the entire environmental movement; book and music reviews; essays exploring ecological theory and a sometimes-lively letters to the editor section. The Earth First! Journal is an essential forum for discussion within the Earth First! movement. It is meant to be bold, controversial, amusing and diverse in content and style. You won’t find hard-hitting news like this anywhere else.